This is the first discovery of a 'Tatooine'-like planet orbiting two stars using the technique gravitational microlensing. 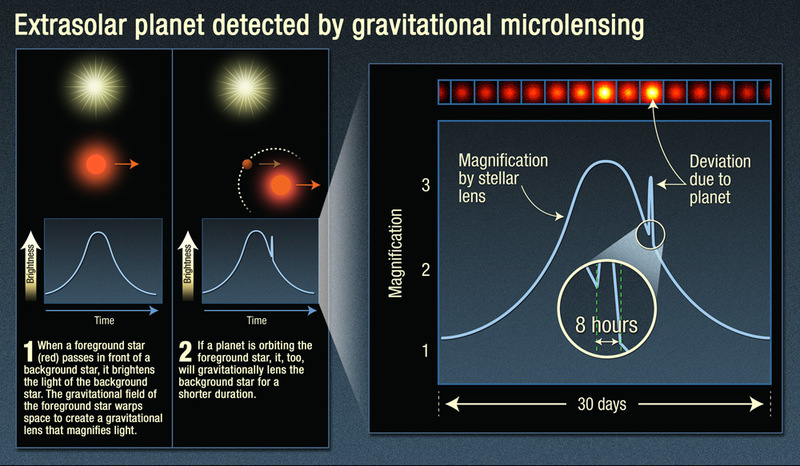 Gravitational microlensing finds planets by looking toward the bright center of the Milky Way galaxy. It observes how a planet's gravity bends the light of its star. NASA's Kepler telescope has discovered 10 other planets orbiting tight binary stars, but these are all much closer to their stars than the one studied by Hubble. Fly through alien planets in our interactive 3D gallery.